Can you really have big wins from changing tiny, but key habits? Learn the critical key steps Chris Reining took to retire at 37! Going for the big wins is smart. Too many times, though, those big wins mean big changes and for most, it’s enough not to move. But what if I told you there are certain tiny changes that can have a huge impact? Today’s guest Chris Reining has made those tiny habits stick and he’s been able to retire at 37! You can connect with Chris on his site, Facebook. Don’t forget to grab his free investment guide. Want to hear another interview about retiring early? Check out my episode with Liz from Frugalwoods. Liz shares how she and her husband fulfilled their dream to live on a homestead in their 30s! 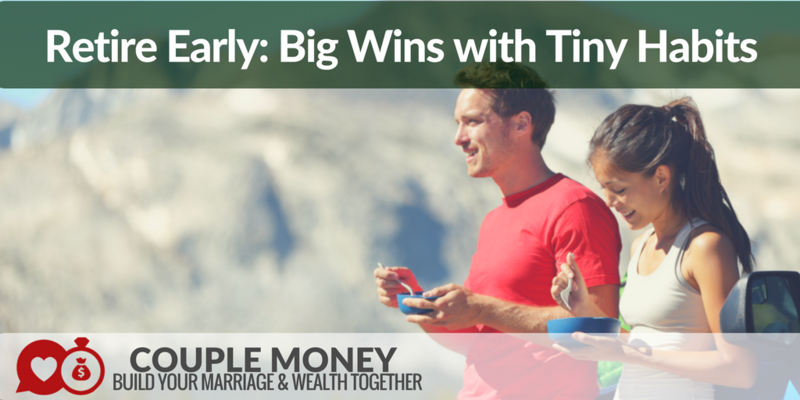 Support for this podcast comes from Jumpstart Your Marriage and Your Money Masterclass. This self-paced course is designed to help you get on the same page with money, dump your debt faster, and build wealth as a team. Get lifetime access and bonus videos on retiring early and paying off your mortgage faster for $27!